Among rising concerns over the use of antibiotics in food animals, Tyson announced today that it will phase out the use of the human drugs in its chicken by September 2017. It’s a pretty aggressive timeline and will affect a big portion of what Americans eat; Tyson Foods is the largest producer of meat in the world. Every restaurant in the Yum! Brands portfolio uses chicken supplied by Tyson Foods, which includes fast-food favorites KFC and Taco Bell, and other chains, including McDonald’s and Wendy’s, use Tyson-produced chicken as well. Now the company is vowing to work with its suppliers to have an antibiotic-free flock two years from now. It has already begun phasing out antibiotics in broiler chickens (chickens used for food) and hopes to get the job done completely by September 2017, alongside attempts to curb antibiotic use in its cattle and hogs. The use of human antibiotics in the production of food has caused a great deal of concern in recent years, with more and more people opting to go organic and antibiotic free as more research suggests the food we’re consuming may have more to do with the proliferation of “superbugs” than we thought. With so much information swirling around, it’s hard to keep track of it all. Do you know whether the food you consume is antibiotic-free or not? Let’s take a look at where the antibiotics are (and aren’t!) on store shelves and restaurant menus. Pretty much any animal that can end up on your plate has been dosed with human-use antibiotics if it comes from a major manufacturer or processor. This means chicken, beef, pork, veal, lamb — you get the picture. There’s a correlation between antibiotic use and animal growth, so it’s become popular to give the drugs to animals who aren’t sick as a way to increase supply. Pretty much everyone, unfortunately. Tyson, for example, is phasing antibiotics out of its chicken flocks, but it’s important to remember that it owns other brands — Hillshire Farm, Jimmy Dean, Ball Park and Aidells — and that it supplies this meat to a number of fast-food brands. 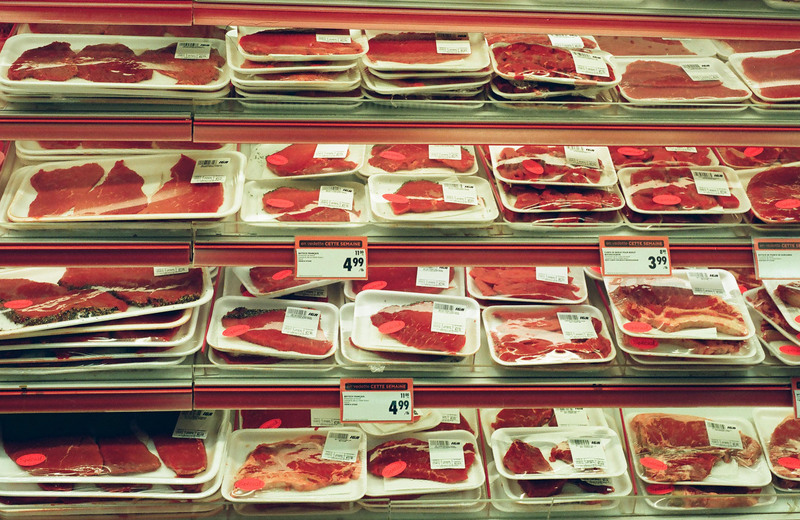 Tyson’s competitor, Pilgrim’s Pride, does the same, and many “supermarket brand” meats, including deli meats, are actually made by the company. Koch and Cargill are two other major processors that use antibiotics. Then there are the restaurants. Besides Yum! Brands, some favorite places that use meat with antibiotics include Applebee’s, Au Bon Pain and Burger King. Another major Tyson competitor is Perdue, the main supplier to Chick-fil-A. 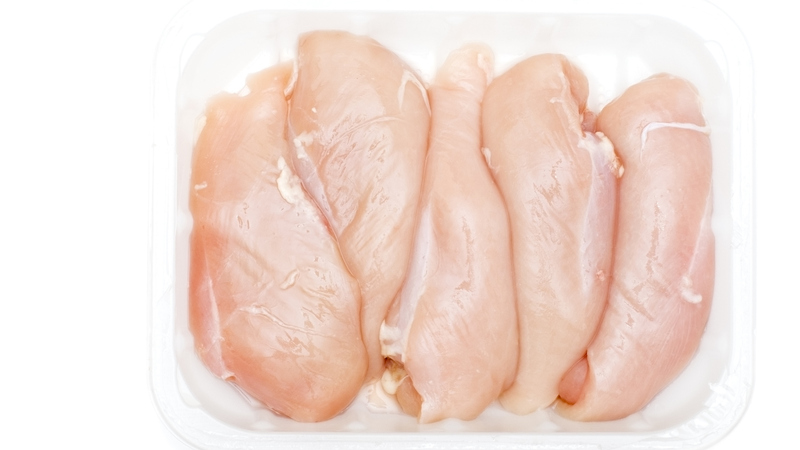 Perdue cut its use of antibiotics in broiler chicken flocks by 95 percent, which means that while there is still some low-level usage of the stuff, it’s much less rampant. Brands like Applegate Farms and Massa Organics as well as eateries like Panera and Chipotle are antibiotic-free. Other, smaller outlets are beginning to market their antibiotic-free goodies in stores, so look for names like Fieldale Farms, Springer Mountain Farms and Bell and Evans in your local grocery. If you want to shop antibiotic-free foods, your best bet is Whole Foods and online retailer Fresh Direct if it’s in your area, or you can use this antibiotic-free finder tool by Real Time Farms. 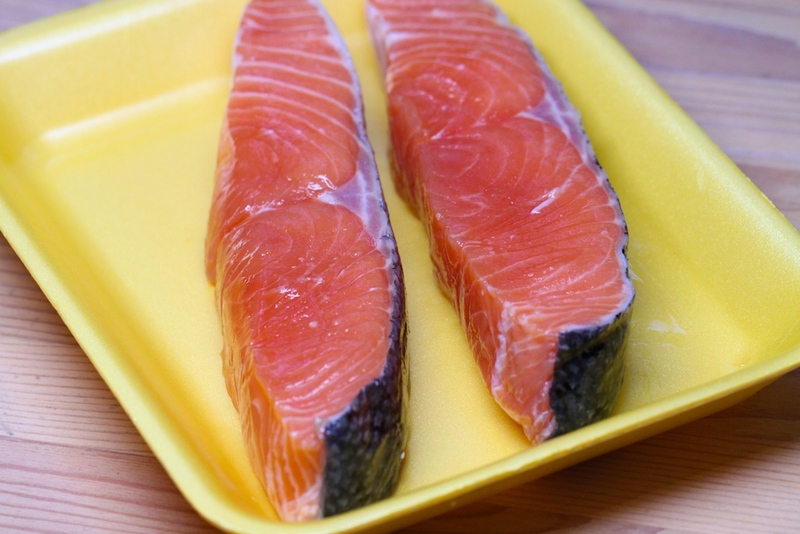 A lot of people turn to seafood as a “healthy” option, which is why it comes as a surprise to many that there are, in fact, antibiotics in fish for human consumption. Unlike factory farms, however, these are used to treat illness as opposed to stimulate growth. Antibiotic use in fish can be a little confusing. Even fish that are “certified organic” are very likely to have trace antibiotics in them. Because you can expect the majority of farmed fish to use antibiotics, most retailers and restaurants that source their seafood from farms will carry fish that include the drugs. Again, Whole Foods has taken initiative here, and you are better off buying wild-caught as opposed to farmed fish. The Aquaculture Stewardship Council, which oversees farmed tilapia and shellfish, recently launched a “farmed responsibly” initiative, so you can look for that label if fresh-caught is a little out of your range. Milk and dairy products are a special case when it comes to antibiotics, because they are only allowed when an animal is sick, and then if the milk the animals produce tests positive for antibiotics, the shipment is canned. Unfortunately some suppliers have found a way around this. The most common tests look for only six major antibiotics, so some farmers have taken to dosing their cows with less-popular antibiotics to skirt the test. Don’t panic, though. This is actually pretty rare. The bigger issue is actually rBST, a growth hormone used in some dairy cows to produce more yield. Because it wouldn’t be wise for dairy producers to advertise when they’re using antibiotics, seeing as it’s not legal, it’s tough to find a list of companies that engage in the practice. It’s best to stay away from dairy sources from nonorganic farms, since those cows will be more prone to illness and dosing. This can include brands like Kraft and Cabot and many store-brand dairy offerings. 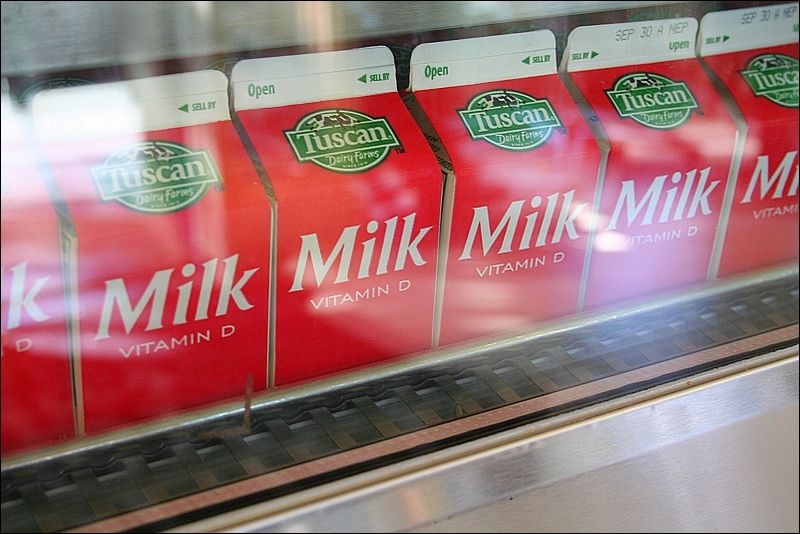 Stick to labeled-organic milk, yogurt, cheese, butter and cream. Stonyfield, Tillamook and Challenge brands are all certified organic and growth hormone-free. Additionally, Whole Foods and Trader Joe’s are among the leading retailers of responsibly sourced dairy products. The market for antibiotic-free food is growing. While it can be disheartening that so many operations still use the drugs, you can take heart in knowing you do have options while we wait for big companies like Tyson to meet their goals.